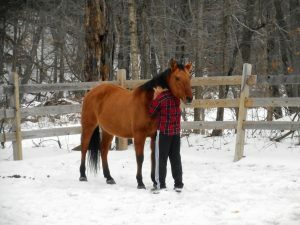 Touchstone | Thank You to All Who Donated to Touchstone Farm during NH Gives! Thank You to All Who Donated to Touchstone Farm during NH Gives! We Can Not Thank You Enough… So Appreciated, So Needed and So Very Grateful!! We will surely participate with the NH Gives campaign again next year! Your generous donation added $1,168. in Financial Aid towards our Equine Therapeutic programs for both our Veterans and their family members as well as NH Middle School programs. Each of these programs are helping children and adults who have suffered from either the tragedy of war, the opioid epidemic at home, the loss of a parent or other traumatic events. http://www.touchstone-farm.org/wp-content/uploads/2016/03/TSF_SA_LogoRGB-copy.png 0 0 Michelle Lowe http://www.touchstone-farm.org/wp-content/uploads/2016/03/TSF_SA_LogoRGB-copy.png Michelle Lowe2018-05-30 16:35:322018-06-11 13:52:12Thank You to All Who Donated to Touchstone Farm during NH Gives! Thank You to All Who Attended Our 2nd Annual Horse Capades Showcase!!! ANNOUNCING Our Pony Farm Online Store!